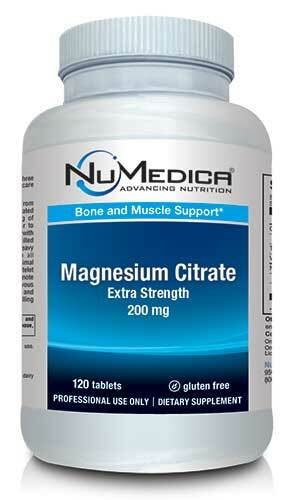 NuMedica Magnesium Citrate Maximum Strength is available in easily swallowed capsules that support the improvement of cardiovascular conditions, promote healthy muscles, and reinforce bone health. Due to its role in the activation of amino acids and ability to regulate muscle control, magnesium is considered a must-have supplement. NuMedica Magnesium Citrate Maximum Strength supports muscular, cardiovascular, and nervous system health by improving amino acid production and regulating blood pressure. 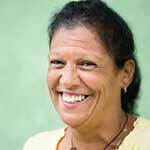 Required for multiple bodily processes, magnesium is essential when your goal is optimal health. 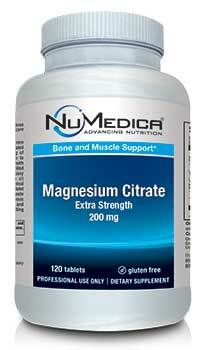 NuMedica Magnesium Citrate Maximum Strength ensures your body has the minerals needed to process energy, create tissue, and regulate muscle control. Found to be helpful for individuals experiencing muscle spasms, NuMedica Magnesium Citrate Maximum Strength naturally supplements your existing magnesium levels. 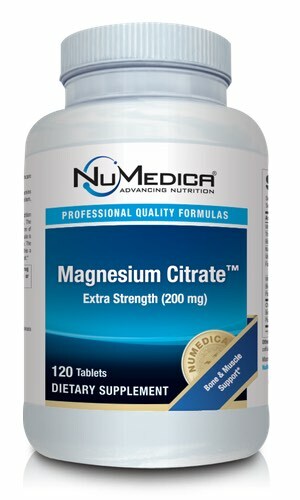 Experience relief from spasming muscles while promoting cardiovascular and nervous system health with NuMedica Magnesium Citrate Maximum Strength. Particularly after an injury or heart condition, supplying your body with magnesium can promote healing, reduce discomfort, and help regulate blood pressure. Other Ingredients: Cellulose, vegetable stearic acid, croscarmellose sodium, vegetable magnesium stearate, vegetable coating.